Learn about your rights to be protected as a Deferred Action for Childhood Arrivals recipient. I have DACA. Can I keep my status for now? Can I apply to renew my DACA? I have DACA. Can I apply for advance parole to travel outside the U.S.? I had DACA, but the Trump administration revoked it even though I still qualify for DACA. What should I do? 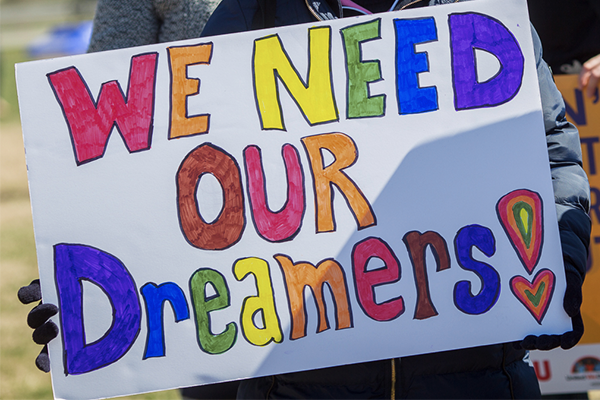 Current DACA recipients keep their deferred action status and work permits until they expire. Not at this time. If you never had DACA before, you may not submit an application for DACA. Only people who had DACA at some point in the past can submit an application to renew their DACA. Yes. 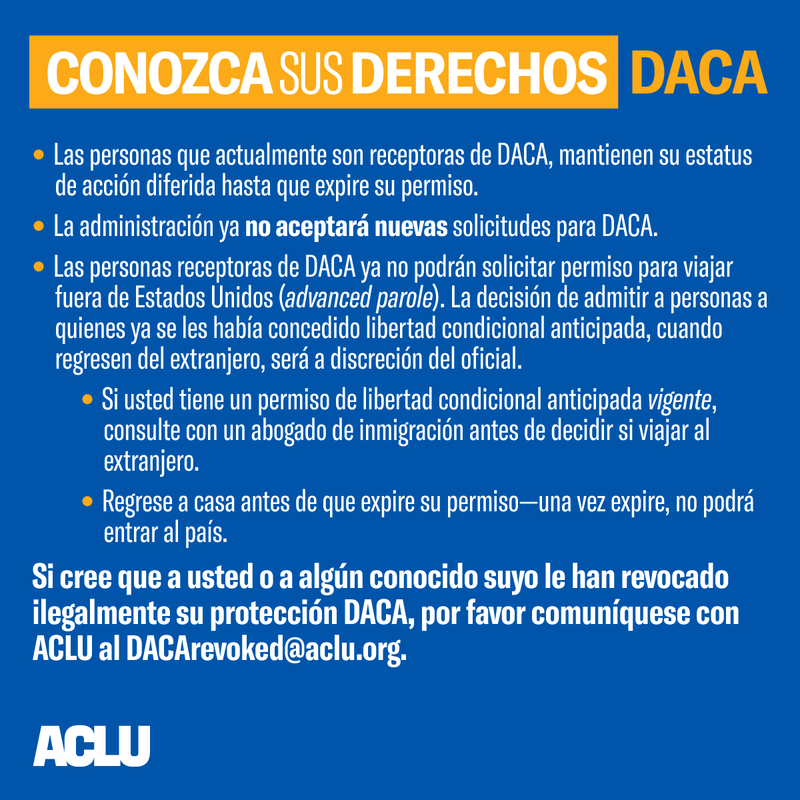 If you were granted DACA, you may apply to renew your DACA. However, the process is different if your DACA expired before September 5, 2016. If your DACA expired before that date, you must fill out the application as if you were applying for the first time. You should assess whether it makes sense for you to apply as soon as possible. USCIS has not provided guidance on when people should submit their DACA renewal applications. There is no deadline by when applications are due. However, the Trump administration has already appealed the court order requiring that it accept renewal applications. It is possible that the court order will be reversed by another court and that the administration will stop accepting renewal applications. No. USCIS is no longer accepting applications for advance parole from DACA recipients. Descargar el gráfico compartible en español aquí.